ZEEF is a place where you find and create lists of links about your favourite topics. It's a very powerful way to share information where everybody wins! With the popularity of games on smartphones and browsers, 2D gaming is back on the scene, recalling the classic age of the late '80s and early '90s. At that time, most games used animation techniques with images (sprite sheets) to display special effects such as explosions, fire, or magic. In current games we can use particle systems, generating random and interesting visual effects in them. In this post I will briefly describe what a particle system is and how to implement models using the HTML5 engine melonJS. Packt Publishing mission is to help the world put software to work in new ways, through the delivery of effective learning and information services to IT professionals. 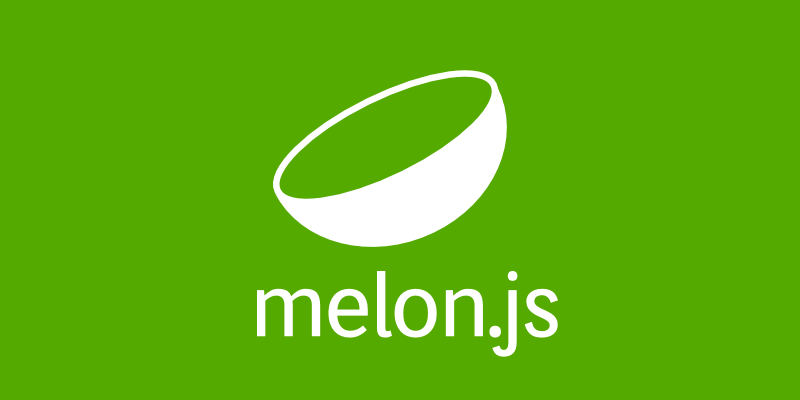 Check the melonJS Blog for a official announcement and get the lastest version in melonJS Site. The recommended is to migrate the current version used in the game to one immediately more recent facilitating the upgrade process (some melonJS versions have API breaks). For example, if your game uses melonJS 0.9.11, you need to update first to 1.0.2 version (check the post Upgrading to melonJS 1.0) and after to 1.1.0 version. Below we will check some of the necessary changes to upgrade from melonJS 1.0.2 (previous version) to melonJS 1.1.0 (current version when writing this post). For a complete list of changes visit the melonJS Upgrade Guide. The melonJS 1.1 is a major release and include several breaking changes which forces you to make several adjustments in your game code. Before starting the migration, check the Upgrade Guide and the Changelog of engine and decide if the amount of work for the upgrade compensates the incredible new features of this melonJS version! Don't forget to always have a backup of the last game version before starting the upgrade process! If you used the onDestroyEvent callback from me.Renderable, the same should be renamed to onDeactivateEvent. Note that the function onDestroyEvent remains only to me.ScreenObject. // Properties must be set in the init method only! At first this change can scare, but the benefits with increased performance and reduced memory consumption compensate. For a more detailed explanation of the great new inheritance pattern, see the post about Jay Inheritance. For a faster execution time, the me.Entity (me.ObjectEntity in the previous version) has been redesigned using a composition approach (lowering the amount of object properties), instead of inheritance based design used in the previous version. In this way, the me.Entity has a new me.Body child object that will hold all physic and collision properties and functions. The melonJS 1.1 has now a full SAT collision algorithm, for polygon collision detection and more accurate collision response. The previous collision check function has therefore been deprecated and replaced by a new me.collision.check function. Refined collision filtering is now possible through the use of me.body.setCollisionMask function (that defines what should collide with what). In preparation to support WebGL, the me.video is now agnostic of rendering target, by adding the me.CanvasRenderer object, passing it to the draw calls of all the objects added to the world container and other subsequent containers. After the completion of the steps above, you must run the game performing various tests to detect possible adjustments or fixes to be made. For possible questions, use the melonJS Forum or analyze directly the source code on GitHub Repo. Even with the extra work, the upgrade compensates for the awesome collision detection, fast inheritance, bug fixes and performance enhancements, in addition to being better prepared for the next melonJS version (in development), with the replacement of the current limited tile collision layer by a shape based collision layer and the probable addition of WebGL support! And you can enjoy to review some "obscure" or "hackish" code, using the best practices you acquired in recent times or to implement new features in your game. The recommended is to migrate the current version used in the game to one immediately more recent facilitating the upgrade process (some melonJS versions have API breaks). For example, if your game uses melonJS 0.9.7, you need to upgrade to versions 0.9.8 -> 0.9.9 -> 0.9.10 -> 0.9.11 and 1.0.2. Below we will check some of the necessary changes to upgrade from melonJS 0.9.11 (previous version) to melonJS 1.0.2 (current version when writing this post). For a complete list of changes visit the melonJS Upgrade Guide. Maintenance Releases (1.0.x): This is for bug fixes and with easy update process without the need for adjustment in your current game code (just replace the current melonJS file to the updated one). Major Releases (1.x.x): This is for new releases filled with new features and can include multiple breaking changes forcing an upgrade in the game code (you need to make some adjustments in your game). Before starting the migration, check the Upgrade Guide and the Changelog of engine and decide if the amount of work for the update compensates the incredible new features of each melonJS version! To avoid several small bugs difficult to fix, the me.ScreenObject no longer acts as a Renderable, i.e., the init, update and draw functions were removed, disabling the same being added to the world container. Another big change with melonJS 1.0 was the entity collision properties (collisionBox) replaced by a more "standardized" approach through the use of collision shapes, preparing the engine for the new collision system to be made ​​in version 1.1. The updateColRect and adjustSize functions have been removed and was added the addShape, setShape and getShape functions. 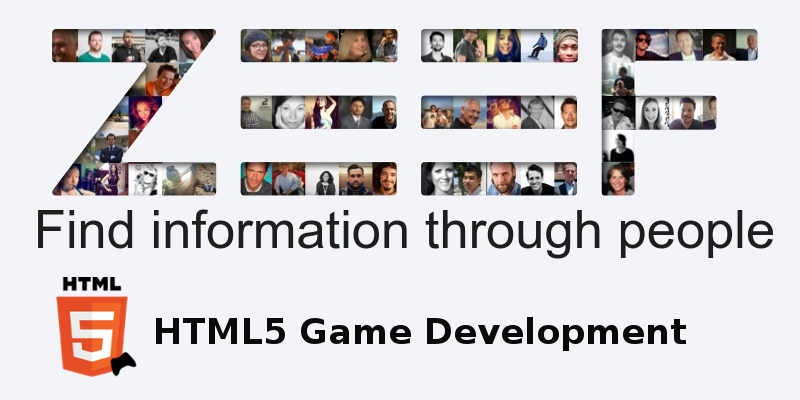 For a detailed overview, check the Shapes Entry in the melonJS wiki. Even with the extra work, the upgrade compensates for the new features, bug fixes and performance enhancements, especially on mobile devices. In addition, you can enjoy to review some "obscure" or "hackish" code, using the best practices you acquired in recent times or to implement new features in the game. 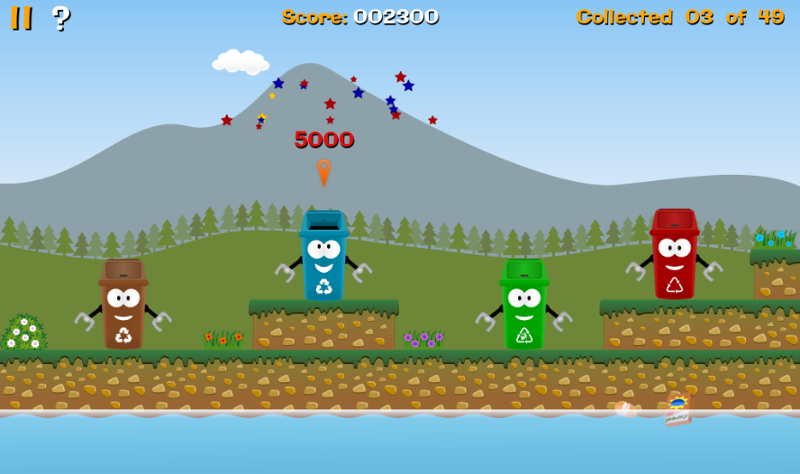 Vibrant Recycling 1.1.0 launched, with New Levels!